For any passionate gamer this is device is a worthy companion, especially for LAN parties. If you already have a Haswell or Skylake powered desktop chances are that you won’t need an upgrade anytime soon. Laptops are another story, altogether. The Intel 7th gen Kaby Lake and Nvidia Pascal shines really in the mobile computing market. Budget laptops are performing better with power efficient processors in them. 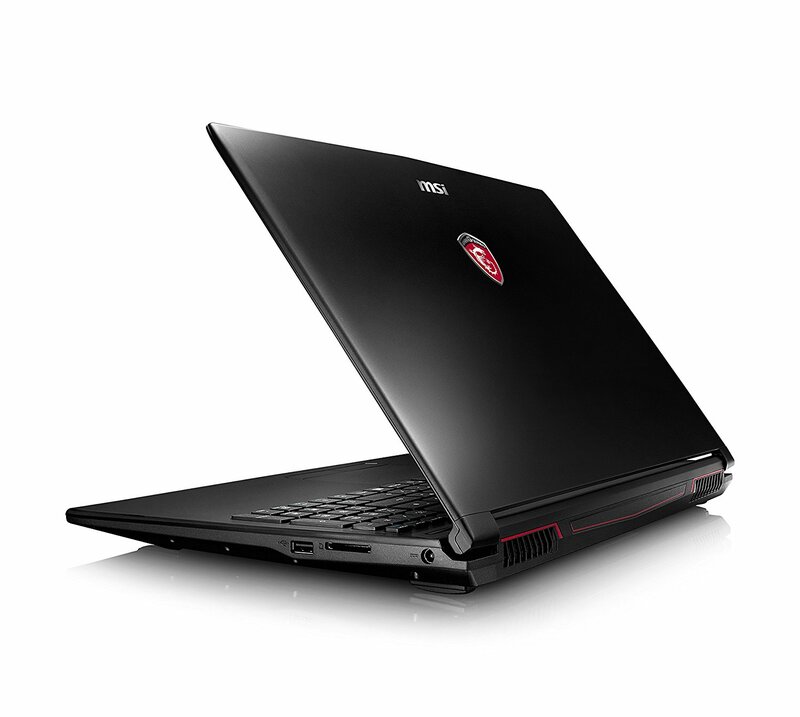 MSI GL62M has hit the sweet spot by choosing all the right specs to provide the best gaming performance at the lowest price. For CPU, we have an i5-7300HQ which is a 4-cores/4-threads processor 6M of L3 cache. This is a standard laptop CPU that can handle most workloads without any hiccups with 2.8GHz of clock speed which can turbo up to 3.5GHz. Complementing this is 8GB of DDR4 memory at 2400MHz. If you are seeking to upgrade the RAM, it is not going to be easy, swapping the memory stick could take some time and effort and is not designed specifically for easy access. The GPU that comes with it is a GTX 1050Ti with 4GB of VRAM which can play most games easily at 1920 by 1080 resolution which is the screen’s resolution. Speaking of which, the display is a 15.6” TN panel. As a cherry on top, we have a 256GB M.2 SSD. The cheap gaming laptop is priced at $800. There is of course a model with i7 and 1TB and SSD combo, but this configuration is the best bang for your buck as far as gaming goes. The design of the laptop is not exactly premium. The body is made out of hard plastic but it does have a matte finish to it that is far better than the glossy alternatives. 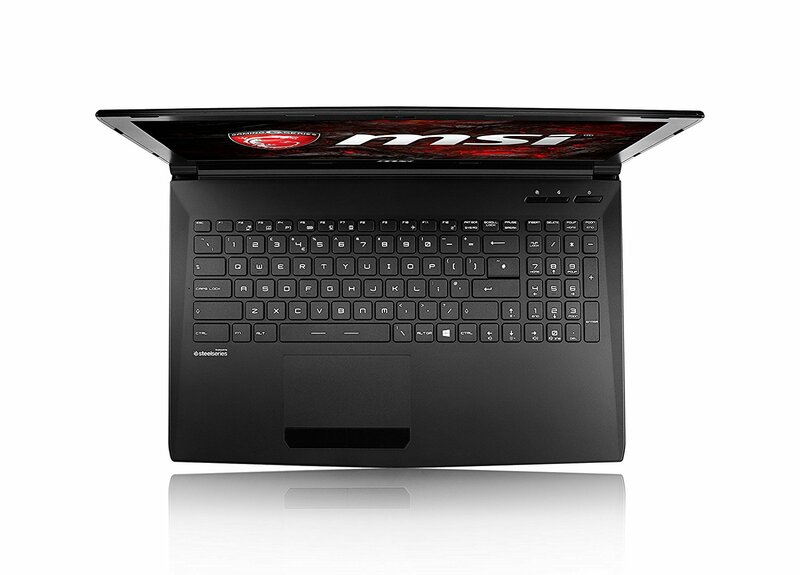 The lid also has the classic MSI Gaming Series logo on it, improving its aesthetic appeal, despite having quite a bit of flex. MSI has really taken care of the cooling for this model. There’s plenty of ventilation at the bottom, more exhaust vents near the hinges and plenty of copper pipes to make sure that the performance of the 1050Ti and 7300HQ are not impeded by thermal throttling. We also notice that the laptop is lighter than most other gaming laptops, weighing 2.2kg, which makes it an obvious choice as a portable gaming device, especially if you already have a desktop in place. The 1050Ti along with the i5 CPU ensures that gaming is never an issue on this device. The 1050Ti can handle most of the modern titles at 60FPS or above given the 1080p resolution. The bottlenecks are further reduced because of the fast little SSD reducing load times and boot time. The only performance issue that you may encounter is in terms of CPU intensive tasks such as encoding multiple videos at once or other editing workloads. The i5-7300HQ is not a desktop grade CPU and can be a bottleneck at times. Overwatch was reported to be playable at 60FPS at max settings and DOTA2 at over a 100FPS. The device is expected to handle almost all new AAA titles releasing in 2017 at high to ultrahigh settings. This is a future proof device and would support most games for the upcoming 3-4 years. In terms of gaming, there are a couple of minor issues. Firstly, the use of TN pane is a little disappointing. TN panels have terrible viewing angles and colour reproduction. Be prepared for lower brightness and bad contrasts. However, this is a laptop, meant to be used for a single person sitting straight in front of the 15.6” screen. 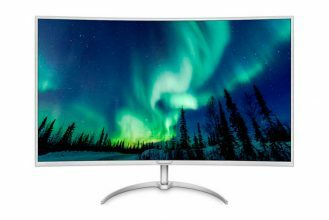 So viewing angles are not going to as bad as you may think. TN panels also have a shorter response time than IPS, which means a responsive and snappy gaming experience. So for fast paced FPS players, or e-sports beginners it is actually desirable to have a TN panel. Second issue worth pointing out is that the 1050Ti is not meant for gaming at higher resolution. 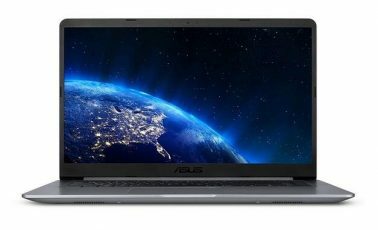 If you are planning to plug in a 144Hz, 1440p monitor to this laptop for gaming you will be disappointed. This is not a flaw on MSI’s part, you just can’t get a better GPU at this price point. Lastly, the battery of this laptop is relatively short-lived and can be drained after 2 hours of casual use. Smaller battery and lack optical drive are decisions that made this laptop light and portable. The steelseries keyboard used in it has a layout which is a little different than the usual keyboard. The start button is on the right instead of left. This is again a decision made with gamers in mind. Many complained about accidentally hitting the start key while a typical WASD game. The touchpad is responsive and can get the job done easily when you don’t have your mouse hooked up to it. Also the mediocre speakers can get the basic multimedia needs satiated. For connectivity we have an Ethernet port, mini display port, HDMI port, 2 USB 3.0 ports, and a single USB 2.0 port. For wireless we get 802.11 ac and Bluetooth 4.0. Also included is a USB Type-C port which is neither USB 3.1 gen 1 nor gen 2 or thunderbolt. The other usual suspects like SD card reader are also provided. Moreover, for audio-in and audio-out we see two different audio jacks. It doesn’t do that well in connectivity but is enough to get the job done. 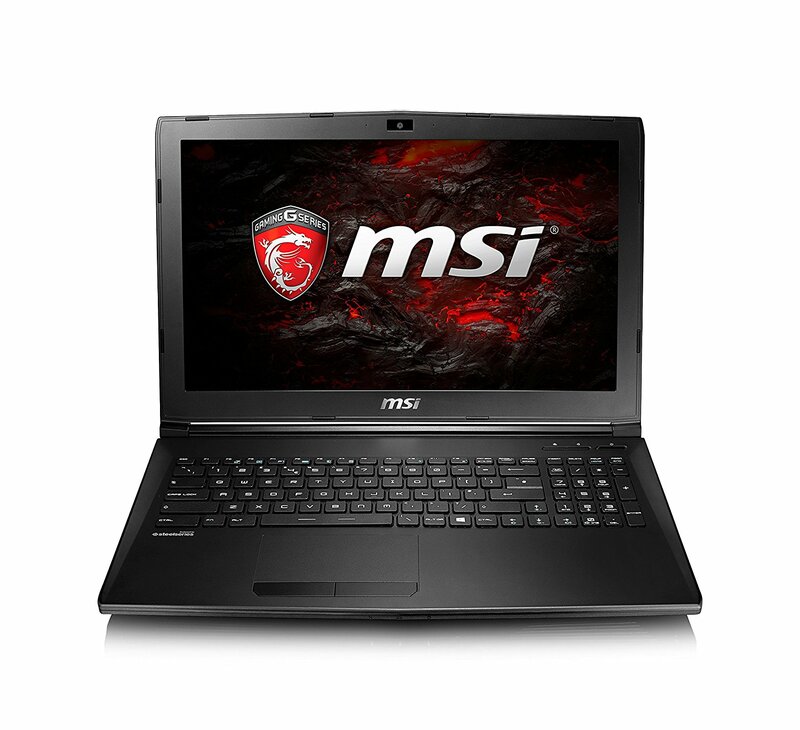 If you are looking for a decent budget gaming laptop, then yes! There’s nothing we could really complain about as far as gaming performance goes. All the corners cut by MSI was to ensure that they can channel most of the expenditure on improving the gaming experience. Only if you are a video or photo editor who needs accurate colour reproduction, should you refrain from getting this laptop. This is perfect for gaming an entire weekend away at your friends place. Previous You can start upgrading to Windows 10 Creators Update on April 5th.